To determine if it’s time for assisted living, or if your elderly parent can safely remain at home, take a good look at the present housing situation, health status and medical needs. 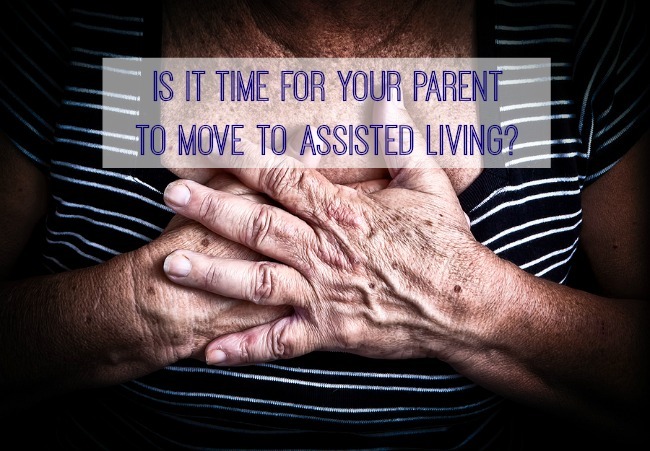 When it is time for a family member to move to assisted living, caregivers and family members have lots of questions. What exactly is an assisted living facility? 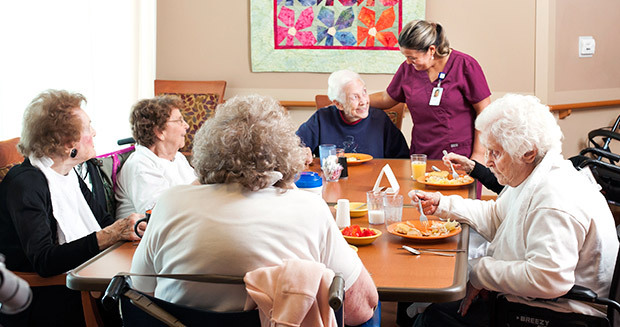 An assisted living facility is a community for seniors who cannot live independently. One of the reasons that assisted living centers are appealing to many people is that they offer a relatively high level of independence. If your parent is in good health and doesn’t require much assistance with everyday tasks, assisted living is a terrific option. In fact, residing in an assisted living center is similar to having a private apartment, complete with private bathroom and kitchen, but you can rest easy with the knowledge that trained staff is on hand to help your loved one when necessary. Assisted living communities might provide daily living care for bathing, dressing, toileting, grooming, and eating — however be sure to read to contract carefully. In some cases, “personal care” is an additional cost, or an outside home health care agency is required to perform these tasks. Assisted living does not provide medical care, such as treatment for specific conditions or diseases like Parkinson’s disease or hospice care. The assisted living facility will assess the elder to decide what kind of care his or her needs require. Nursing homes, on the other hand, are designed to house and assist individuals who have health conditions that require constant monitoring and the availability of medical personnel. An elder should make the move to assisted living if hiring in-home care is not an option. If your parent is constantly confused, forgetful and sometimes wanders, their safety is at risk. If your parent has severe mobility issues and cannot get around the house safely and on their own, they need assistance. Many allow pets. Check with the assisted living facility. How much does assisted living cost and who pays the bill? Although the cost for assisted living varies by the facility, the national average is $2,969 per month for a one bedroom apartment with a private bath. The rate is significantly higher for seniors who require Alzheimer’s or dementia care, with costs of $4,270 per month. Residents of assisted living facilities use “private pay” to cover the costs. The way in which they pay is up to the individual. Some people use personal savings, pensions and/or social security to cover the costs. Some people also use long term care insurance. Medicaid and other federal programs do not pay for the costs of assisted living. Some states offer waivers for assisted living for special circumstances. Check with your Area Agency on Aging to find out if your state offers a waiver. An exception to private pay for assisted living is low-income or government subsidized communities. If your parent meets certain income and asset requirements, the government will subsidize the cost of the rent. What happens if I run out of money when mom is in assisted living? You have a few options to consider if this situation occurs. First, discuss your situation with the facility. Many times, the facility will be willing to negotiate some kind of agreement. These situations are handled on a case-by-case basis, but they may be able to reduce rent or set up a payment plan to cover past-due payments. Second, check with your state’s agency on aging to find out if there is an available program that may help you. Finally, check to see if your parent has any funds that you may not have tapped into or if they qualify for low-income or government subsidized housing. Unfortunately, residents in assisted living facilities do not have the same protection as those in nursing homes. Although the assisted living facility is required to give a 30 day notice of discharge, the resident is not protected from involuntary discharge. Exhaust all options to prevent this from happening. Guilt is a feeling that many caregivers experience when they move an elderly parent into an assisted living facility. Don’t let guilt get the best of you! Always keep in mind that the move was the best option for your parent. You can still be a caregiver even when your parent moves. For example, you can make sure their apartment has personal touches. 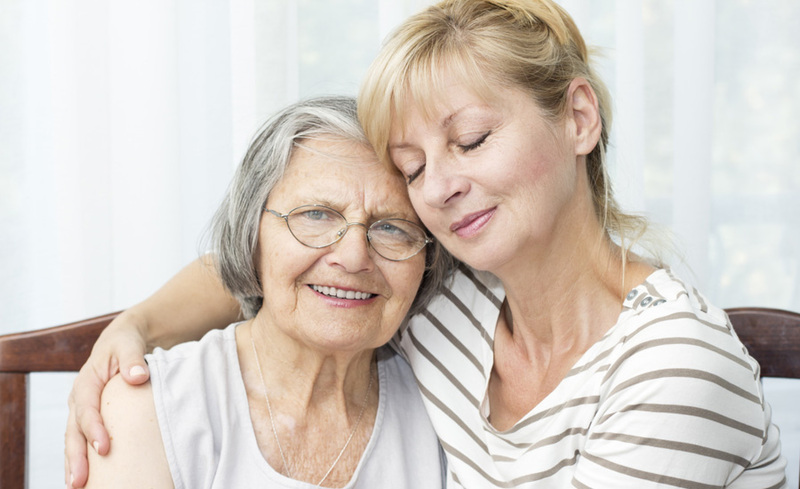 You can be a liaison between the assisted living staff and your parent. You still make sure that your parent’s needs are being met. Remember that you are doing your best to make sure that your parent is receiving the best care possible. What can mom or dad bring with them to assisted living? Your parent can bring any of their personal items that can fit in the apartment. Your parents can bring furniture, too. Can a senior be denied by an assisted living community? It is possible. Once the facility assesses your parent’s health, they will decide if he or she is a good candidate. If your parent needs more care than assisted living provides, they will most likely refer him or her to skilled nursing, also known as a nursing home. Also, you or your parent needs to be able to pay for the cost of assisted living. If you or your parent cannot afford the costs, then the elder can be denied. Many assisted living communities have waiting lists (usually the reputable ones), so, although your parent may not have been denied, it may be awhile before they can actually move into the community. How do I know they’re getting good care at assisted living? Find a good assisted living community and make yourself a regular presence in the facility and develop relationships with the staff, if possible. Ask questions. Monitor your elderly loved one’s behavior, what they say, and pay special attention if you notice any bruises or cuts on his or her body. By asking questions and maintaining communication with staff, it is easier to keep tabs on the care your parent is receiving. If you suspect elder abuse or neglect, talk to a supervisor or contact an ombudsman. What happens when mom’s Alzheimer’s worsens? Will she have to move? Usually people who are in the early stages of Alzheimer’s and dementia can stay in assisted living. Again, Alzheimer’s and dementia care is handled on a case-by-case basis. 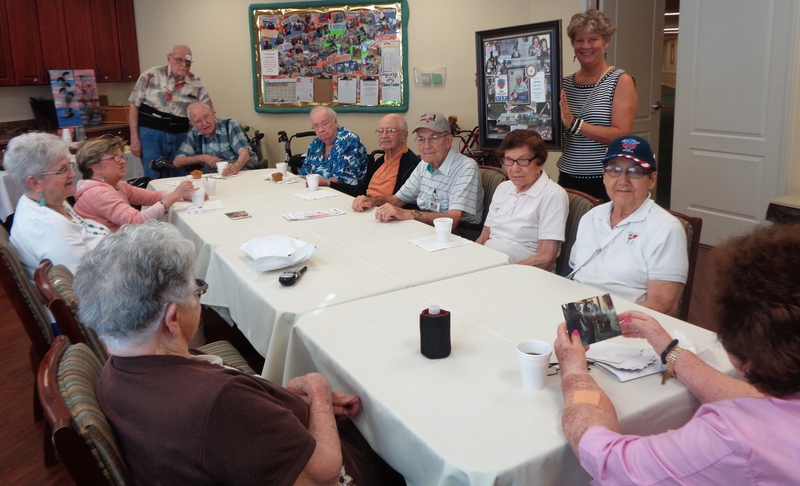 Many assisted living facilities offer a secure unit for residents with limited memories. If you do not want your parent in a memory unit, you can always hire a private duty nurse. Private duty nurses allow seniors with dementia or Alzheimer’s to stay in their current apartment, rather than in a secure unit. Check with your parent’s facility to learn its policy. Finally, when seniors can no longer function without 24 hour assistance, the move to a nursing home may be required. Room sizes can vary. There are studio apartments and one, two or three bedroom apartments. They have private bathrooms (nursing homes usually have shared bathrooms). Some even have kitchenettes. Couples usually can live together, but it is best to check with the facility first. Can mom or dad socialize with others? 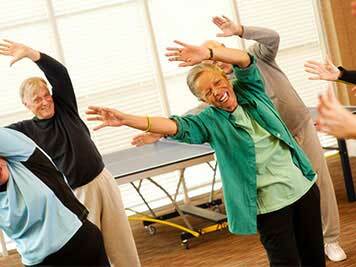 One of the benefits of an assisted living facility is that there are group activities available for residents. Everything from games to exercise classes to happy hours are offered. However, if your parent does not like to participate in group activities, social interaction can still happen at meal time, since meals are usually eaten in the community dining room. What if they don’t want to socialize? Is there privacy? If your parent desires complete privacy they have the option of staying in their apartment and even eating meals in their apartment. Sometimes privacy cannot be given though, if your parent needs assistance with certain things. For instance, if your parent wants privacy during meal time, but he or she needs assistance eating, they may opt to eat in their apartment, but a staff member will still need to be with them to assist. However, assisted living communities encourage residents to socialize and engage with other residents. Staying in their room alone at all times can lead to loneliness and depression. What will mom do all day? A vital part of quality of life is social interaction and assisted living facilities aim to provide a means for that interaction. A variety of activities are offered to ensure that your parent has something to do that fits their interests. There are many kinds of games offered, such as bingo, board games, puzzles and cards. There are social parties. There is usually some kind of physical exercise activity. There are movie nights. Also, entertainers of all sorts come in, and there are usually one to two different entertainers per week. There may be musical entertainment one night and a magician another night. Good assisted living facilities offer many different activities to suit people’s needs and interests. If you are concerned with a facility’s activity schedule, talk to the activities director. They are open for suggestions! Are assisted living residents kept on a daily schedule? Yes and no. Elders in assisted living still maintain some sort of independence and can decide which activities in which they wish to participate. For example, if your parent usually plays bingo, he or she can decide not to play one day. They do not have to go with activities schedules. Your parent will be on a daily schedule when it comes to things like meals, medication, bathing, dressing and grooming, and housekeeping. Your parent will eat three meals per day: one in the morning, one in the afternoon and one in the evening. There is a window of time allowed for certain needs. For instance, if your parent needs assistance with bathing, he or she will know that a staff member comes to their apartment on a certain day between 8:00 a.m. and 9:00 a.m.
What if they don’t remember to take their medications? If a resident does not remember to take medication regularly, staff can assist with that. A staff member may call the resident to come to the nursing station to take medication or someone may visit the resident’s apartment and administer the medication. If you feel that your parent needs assistance with remembering medication, talk to the staff at the facility. Does mom or dad need a car? How do they get to the doctor? Many facilities allow residents to have cars if they are able to drive. It is not imperative that your parent has a car. Assisted living facilities have transportation available for residents for doctor appointments, shopping, banking needs, etc. What happens if an elder has an emergency at assisted living? There are a variety of ways for staff to be informed of an emergency. Many assisted living facilities have emergency pull-cord systems. A pull cord would be placed in every room of a resident’s apartment and if he or she needs assistance, they can pull the cord and the receptionist will be alerted to send for help. Another emergency device is a panic button. Residents may wear a necklace with a panic button that alerts the receptionist that there has been an emergency. Panic buttons are particularly useful for falls. In assisted living, residents are checked on multiple times per day since they need care for different things. Often, if a staff member has not seen a resident for awhile, he or she may pop in the room just to check on them and make sure everything is okay. How do I know mom or dad will be safe? Security is available in the form of emergency security and general community security. Guests are required to sign in so that the facility knows who comes in and out of the building. Also, to ensure caregiving safety, staff members must pass a background check prior to being hired. America is getting older. Baby-boomers are confronted with the problem of helping their elderly parents find the best living situation for their old age. It won’t be long before they and their own children will find themselves in the same situation. One of the most promising retirement alternatives today is the Assisted Living Facility, a residence in which elderly people can live autonomously yet be provided with essential services like food, housekeeping, on-premises medical attention and social activities. Most of the information available to prospective residents and their adult children comes from the brochures of these very enterprises and a handful of books on the subject. None of these publications were written by a resident of one of these facilities. 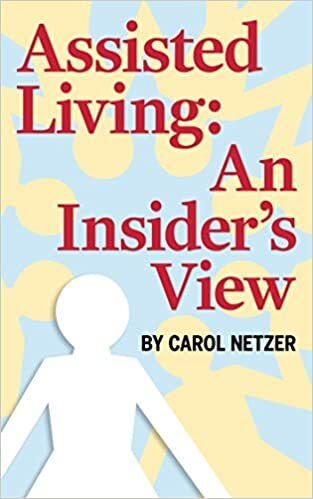 Carol Netzer has been a resident in assisted living facilities for over four years. She is also a trained psychologist, naturally inclined to observe human behavior wherever she goes. She is uniquely qualified to write about the difference between a successful and unsuccessful experience for the new resident in assisted living. It is a good idea to know the signs that indicate that your elderly family member needs to make the move to assisted living. You can know they are getting all the help they need with an assisted living center. I would hate to think of my grandparents living on their own and not being able to take care of themselves. Yes, family members need to keep an eye out for signs that our loved ones are having difficulty on their own. Thanks for the advice about deciding when to move my family members into an assisted living facility. I remember seeing a lot of the signs you mentioned with my great-grandma, like forgetting to eat meals or take medications. I think it was about that time that my family decided to move her into assisted living. Now that I am starting to notice similar behavior in my grandma, I think I should talk to the rest of the family about choosing a facility for her. I’m glad you found the post helpful, Kairi. This is some great information, and I appreciate your point that assisted living facilities provide social and recreational activities. My mother is living at home alone right now, and while she could probably continue to do so, I think she gets lonely. I think it would be good for her to have a social outlet, so I’ll definitely talk to her about moving to assisted living. Thanks for the great post! Thanks for pointing out the importance of looking at features of an aging parents home, like grab bars and emergency response systems, that could make a difference in whether or not you move them into an assisted living facility. I would imagine that it could be a tough transition for someone who has lived in one home their whole life to move somewhere else for the end of it, but it could also be very important to helping them live the longest life possible. I would imagine that when the time does come it would be nice for your parent to have a say in choosing where they were going to be living. Thank you for the information about assisted living facilities. My mom is getting pretty old, and is having trouble taking care of herself. Like you said, her safety is at risk, so an assisted living place is what we are looking at. I like how you mentioned that social interaction is a bit part of assisted living facilities. My mom’s health is declining, and I’m worried about her continuing to live on her own, so I think it would be best to move her to an assisted living facility. I think she would really enjoy the social opportunities, and I’ll make sure the facility I choose has a good variety of activities. I didn’t realize that there are some assisted living facilities that are willing to negotiate the payment should you run out of money. I can see why this would be something to ask when you are getting a tour or visiting for the first time. Both my grandparents are over the age of 90 and are having a harder and harder time providing for themselves. I’ll have to talk with my mom to make sure she asks about this if they ever need to live in an assisted living facility. My husband’s grandmother is getting to the point where she needs a bit of assistance in her daily life. You wrote that when considering different assisted living communities, you should consider what factors are the most important to that individual. I know that my husband’s grandmother is a very social person, so having easy access to neighbors is essential. Thanks for the great advice.